First submitted Saturday, 28 July 2018 at 15:26:59 by John N Hughes-D'Aeth. 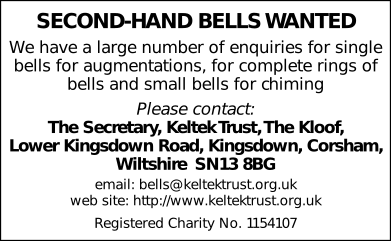 Sent for publication in The Ringing World on Monday, 17 December 2018 at 05:42:47. This performance has been viewed 1217 times.